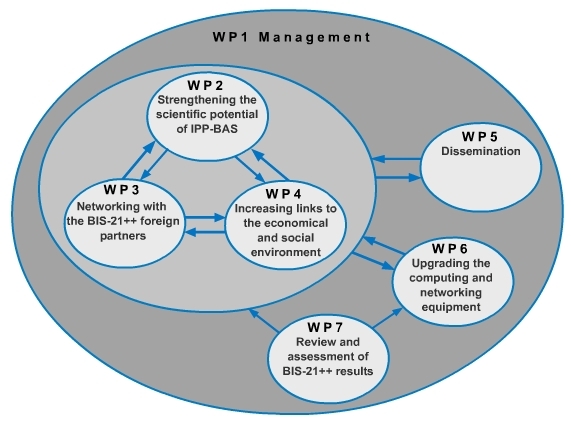 As a Specific Support Action (SSA), BIS-21++ contains support activities	(organised in work packages WP2-WP7) and management activities (WP1). The support activities cover training, networking, dissemination, informational, resource-oriented, professional, infrastructural, and technological tasks as well as assessment and evaluation tasks, to measure the project progress towards its objectives. © 2005-2006 Institute for Parallel Processing. All rights reserved.